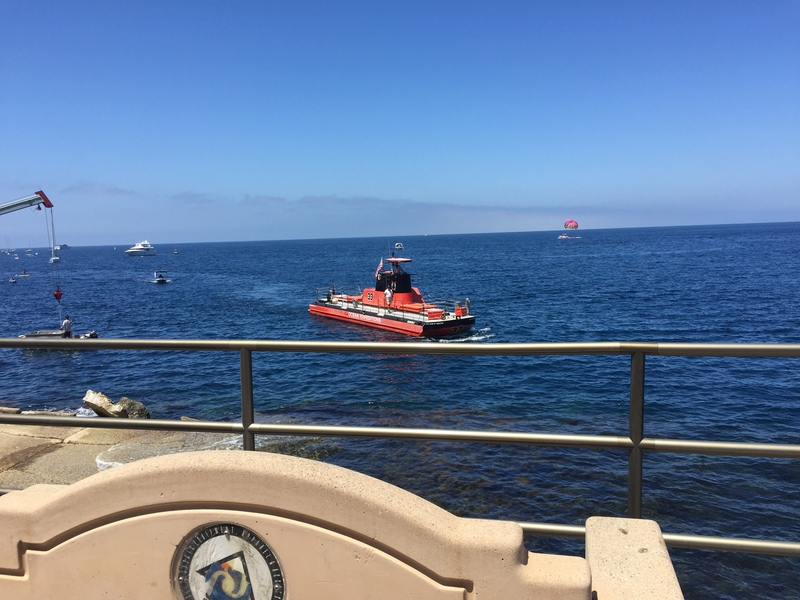 Kabana Kids Blog – Tagged "family weekend trip"
Catalina Island is a fun travel destination for families with kids of any age. Whether you visit overnight, for a weekend, a few days, or a week, you’ll find plenty to do. Just 22 miles off the California coast, Catalina Island is 22 miles long and up to 8 miles wide. It takes about an hour to get there by boat (or 15 minutes by air). Boats leave year-round out of ports in Long Beach, Dana Point, Newport Beach, and San Pedro. For my family, the boat ride to and from the island was a fun and memorable part of the trip. Once you get to the island, you’ll instantly notice how cute and quaint it is. It’s pretty small with hills off in the distance, a charming little town with lots of shops and restaurants, little strips of beach, a pier, and the most spectacular views from everywhere. The main town on Catalina Island is Avalon (there’s also the unincorporated community village of Two Harbors). Avalon’s main street is Crescent Avenue, where you can walk around, shop, eat, visit the beach, and enjoy stunning views. Other boat adventures include the popular glass-bottom boat, Ocean Runner dolphin watching tour, nighttime Flying Fish Tour, Sundown Isthmus Cruise, and if you really want a true ocean submersion experience, the Sea Trek Walking Tours and “Snuba” – not something I’m willing to try. You can also go snorkeling, scuba diving, kayaking, or paddle boarding. One of the most favorite things my family did when we there was rent a golf cart to drive all over the island. You can follow the map the rental company gives you to go on a self-guided scenic tour. It takes you way up in the hills where you can stop and take in the most beautiful views. You can also venture off and explore more of the island, such as through residential streets and other hillside areas. Visit http://www.catalinaislandgolfcart.com/. Other options for exploring by land include walking, hiking, or renting bicycles, as well as taking tours by Jeep, Hummer, or bus. Visit https://www.catalinatours.com/. Catalina has a few cute little beaches, including Descanso Beach (mentioned below). The main beach is Crescent Beach, which is right next to the Green Pleasure Pier, from where many of the sea excursions depart. There are no big waves at these beaches, so swimming, playing or floating in the water is ideal. It also makes it really nice for young kids. Our daughter enjoyed collecting shells, rocks, and sea glass there. Descanso Beach Club is a beautiful and fun cove beach with stunning views. You can lie out in the sand and play in the water there. They sell all kinds of whimsical rafts and tubes in the gift shop. You can also rent a cabana or chaise lounge chairs. Other fun activities to consider, if you’re interested, include rock wall climbing, zip-lining, miniature golfing (at Golf Gardens), and touring the iconic Catalina Casino, which also has a movie theater that shows a first-run movie each night. Catalina has tons of cute little shops, most of which are on Crescent Ave. and adjoining side streets. Your kids will be happy to know that there is a great toy shop, at 233 Sumner Ave., right off Crescent Avenue (near the intersection of Sumner and Beacon St.). Island Toy Store Plus More is a darling little shop with all kinds of toys and goodies (and a small section of goodies for pets). There are also several souvenir and gift shops, clothing stores, a general store, and other shops and boutiques. If you have kids, you will most likely visit Lloyd’s of Avalon Confectionery, which has delicious and beautiful candies of all kinds, including their renowned saltwater taffy, caramel apples, fudge, chocolates, and ice cream. It’s located at 315 Crescent Ave.
Other places to get sweet treats: Scoops Homemade Ice Cream (505 Crescent Ave.) and Avalon Bake Shop (122 Catalina Ave.). For more information on planning your family trip to Catalina Island, see http://www.visitcatalinaisland.com/ or http://www.catalinachamber.com/.